Antioch on the Orontes—also sometimes called “Syrian Antioch”— was the third largest city in the Greco–Roman world: behind Rome and Alexandria (Egypt). 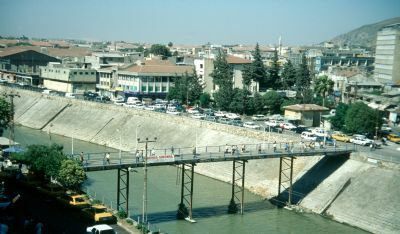 Today it is called Antakya (Hatay) and has a population of about 150,000. Here followers of Jesus were first called “Christians” (Acts 11:19–26) and from here famine relief was sent to Jerusalem (Acts 11:27–30). Paul began all three of his missionary journeys from Antioch (Acts 13; 15:35–41; 18:22–23).